When will be Golden Fishery next episode air date? Is Golden Fishery renewed or cancelled? Where to countdown Golden Fishery air dates? Is Golden Fishery worth watching? 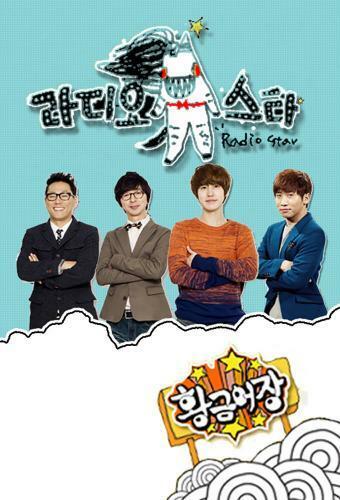 Golden Fishery is a South Korean talkshow from MBC in which they consider themselves as a high quality music show. Though the aspect is more focused on Comedy rather than Music.The show consisted of three segments; True Story Threatre, The Knee-Drop Guru and Radio Star in which only the last segment is currently running. Golden Fishery next episode air date provides TVMaze for you. EpisoDate.com is your TV show guide to Countdown Golden Fishery Episode Air Dates and to stay in touch with Golden Fishery next episode Air Date and your others favorite TV Shows. Add the shows you like to a "Watchlist" and let the site take it from there.